We wrote yesterday about the new “Dangerous by Design” report by Transportation for America, which found that pedestrian accident deaths make up 51 percent of all San Francisco traffic fatalities, more than four times the national average. The husband of the victim of a 2010 Mission Street bus accident filed a wrongful death lawsuit Monday against San Francisco Muni, saying the driver of a 14 Mission bus was unwrapping a candy bar when she failed to see 49-year-old Scott Whitsett crossing the street. When the operator, Kimberly Faye Johnson, saw Whitsett, she allegedly hit the accelerator instead of the brake by mistake, which led to the collision. This incident marks the newest in a string of serious injuries and wrongful death lawsuits that show a clear need for San Francisco to improve street safety. 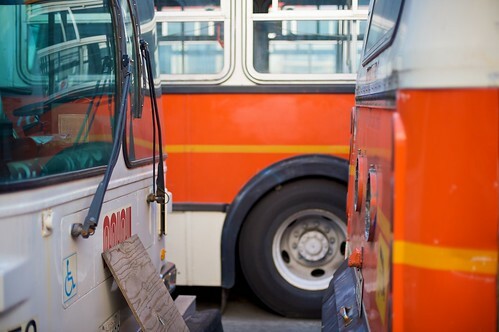 This lawsuit is particularly troubling for Muni because San Francisco has a duty to protect its citizens from preventable accidents caused by government vehicles but endured some recent high-profile fiascoes. Earlier this year, for example, the agency agreed to settle a personal injury lawsuit by a pedestrian injured by the Powell-Mason cable car line in 2008 for $2 million. Such high costs indicate that it’s in everyone’s benefit — including Muni, pedestrians, and taxpayers – to reduce the number of fatal accidents on San Francisco city streets. Earlier this month, the San Francisco Municipal Transportation Agency approved a $20 million street redesign intended to slow city traffic speeds and reduce fatal Masonic Avenue accidents. While this is an encouraging step, the SFMTA should press on to implement similar measures on other high-speed, high-traffic arterial streets throughout California. Just yesterday, for example, a pedestrian was seriously injured in a Marina district pedestrian accident on Pierce and Lombard streets. So until San Francisco’s transportation agencies take significant steps to reduce preventable bus accidents and implements stronger measures to reduce speeds on arterial streets, pedestrians should continue to take extra precautions while crossing streets or waiting for busses in high-traffic areas.